Kraig Kraft, coauthor of a new book, Chasing Chiles, wrote an op-ed piece the the Albuquerque Journal (5-15-11) in which part of the headline refers to “fake N.M. chiles,” a reference to chiles from Mexico that are imported for processing in southern New Mexico because local growers can’t keep up with demand due to the competition from other crops. But ignored in this discussion is the fact that these are New Mexico varieties like ‘NuMex 6-4 Heritage’, developed by Dr. Paul Bosland’s chile breeding team, and the seeds provided to Mexican growers. If you really, really want your chile, does it really matter if it is grown in the Mesilla Valley or 100 miles south of there in Chihuahua? I don’t think so. 1. The real fake chiles are “Hatch chiles.” There is no such thing. “Hatch chiles” are a complete fabrication. There is no such variety. 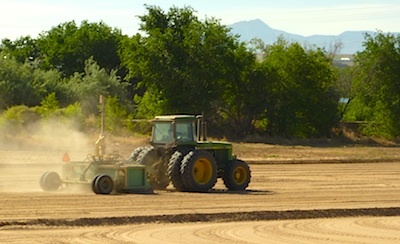 Hatch farmers devote most of their fields to alfalfa, and cannot possibly grow all the chiles labeled with the name of that tiny town. 2. 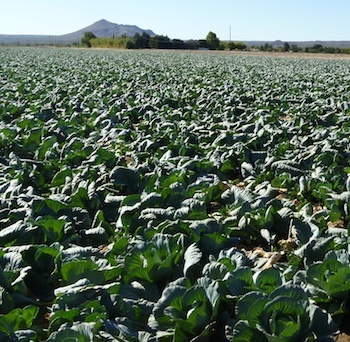 New Mexican varieties are only part of the crop processed in southern New Mexico. Even more important are the cayennes, paprika (non-pungent red chiles, by definition), and jalapeños. 3. The New Mexico chiles deserving what Kraft calls “geographic indicators” (similar to Idaho potatoes and Florida oranges) are the endangered heirloom or land race chiles of northern New Mexico, like ‘Chimayo’. The recently-passed New Mexico Chile Advertising Act, which supposedly prohibits the advertising of chiles listed as New Mexican but not grown in the state, is a joke. 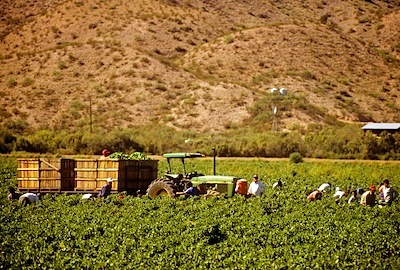 It is totally unenforceable, which renders it useless, and is another attempt by politicians to place a “legal fix” upon what is really just an economic fact of life brought on by changing times, NAFTA, and the ability of farmers in other countries to grow New Mexican varieties to meet the demand here. 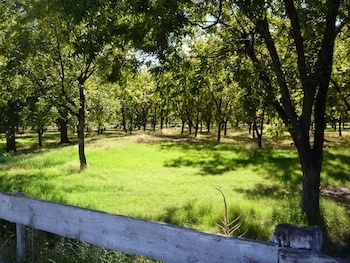 NM Chile Harvest Delayed A Tale of Three Fields Pecans Now New Mexico’s Top Food Crop Good News in the South Valley!